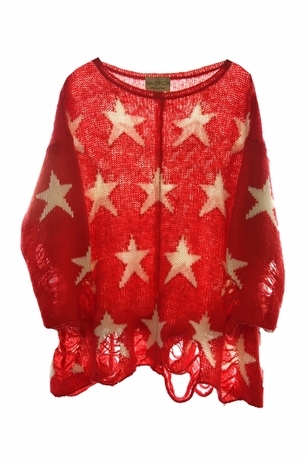 This oversized sweater by Wildfox has us seeing stars-literally! Throw it over your favorite bikini for an effortless chic after-five BBQ look or team it with denim cutoffs, aviator sunglasses and beige sandals-like Ashley Tisdale- to a beach side lunch with your bestie. You will love this statement-making thrown-it-on-and-go sweater so much that you will find yourself never wanting to take it off!